Ukraine officially became part of the all-European transport network TEN-T starting from November 2018. This was reported by the Minister of Foreign Affairs of Ukraine Pavlo Klimkin: “Just signed High Level Understanding on TEN-T core network extension maps to Ukraine. An important step towards further integration of Ukrainian and EU transport networks,” he wrote. The Ukraine Association for Hydrogen Energy. is a member of the EHA. The TEN-T trans-European Transport Network is part of the Connecting Europe CEF infrastructure programme of the European Union, which envisages the creation by 2050 of a new transport system in the EU, comprising 94 ports, 38 airports and about 15,000 km of high-speed railways. The programme has also co-financed 77 hydrogen refuelling stations to date along the main road corridors, the largest number financed so far by a European programme. In the frame of this project, stations for alternative fuel vehicles are constructed, including hydrogen refueling stations. 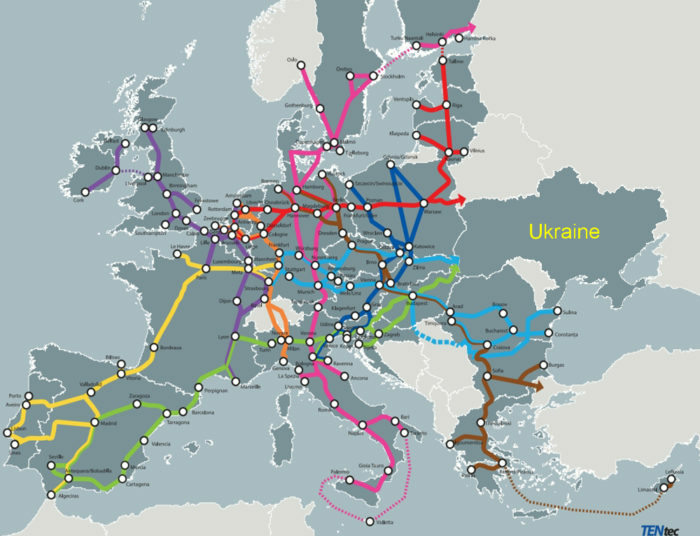 As it is shown on the map of EU transport corridors, there are three, which are entering Ukraine. Joining European transport network will help spreading hydrogen technologies to Eastern European countries. Moreover, this 2018 year, Ukraine extended its law, which frees all vehicles, propulsed with electric motors, from all taxes. This includes hydrogen cars. Such initiative is expected to facilitate deployment of clean transportation in this country.